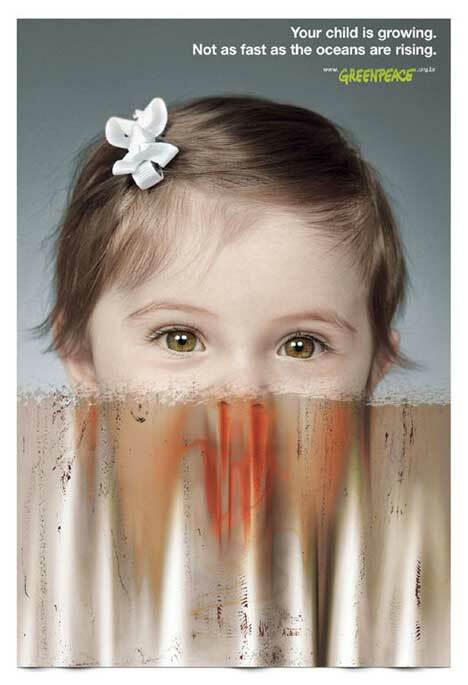 Greenpeace in Brazil is connecting the faces of young children with concerns about the rising oceans. 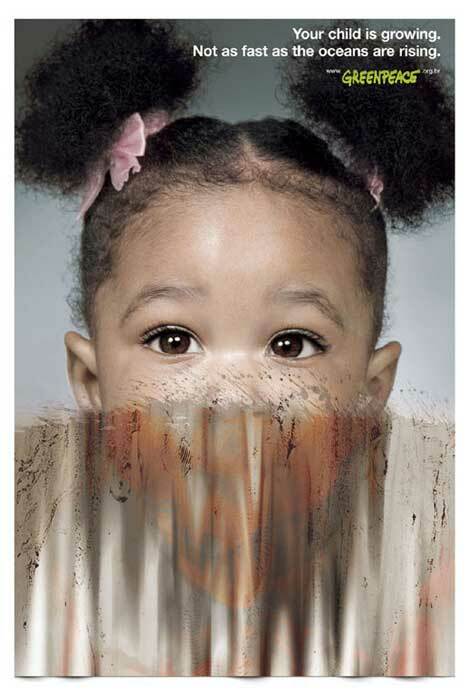 Three print advertisements show photographs of children with evidence of water damage. The tagline: “Your child is growing. Not as fast as the ocean are rising”. 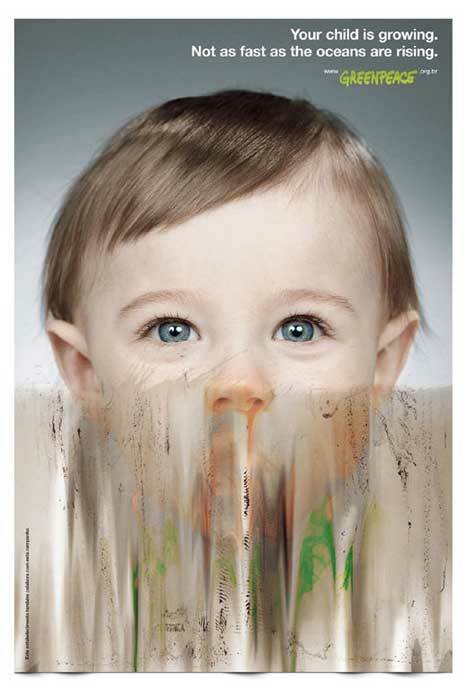 The Greenpeace Child Growing campaign was developed at AlmapBBDO, São Paulo, by creative director Roberto Pereira, Luiz Sanches, Marcello Serpa, art directors Bruno Prosperi, Marcos Medeiros and copywriter Renato Simões.